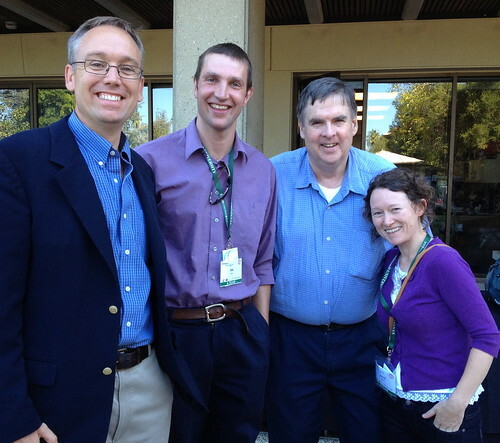 Last week graduate students at Stanford University got a special treat. As part of the Energy@Stanford & SLAC conference, students in energy-related fields at Stanford got to play with En-ROADS, Climate Interactive’s latest simulator, which demonstrates how different energy policies could make a difference in the decades to come. Exploring whether the accelerated retirement of coal-fired power plants paired with subsidies in renewable energy will help us reduce our emissions better than a $50 price on each ton of CO2, is just one of countless policy configurations that the En-ROADS simulation lets users explore. 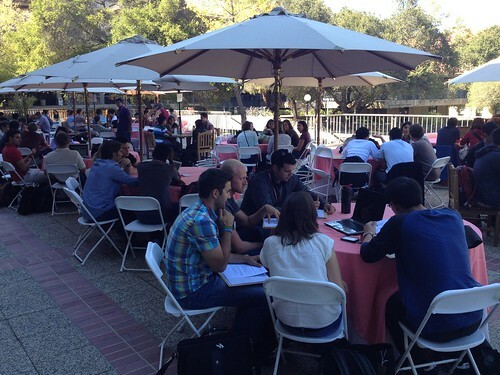 The Energy@Stanford & SLAC conference was co-sponsored by Stanford’s Precourt Institute for Energy, SIMES, the Global Climate and Energy Project, SLAC National Accelerator Laboratory, National Renewable Energy Laboratory and the Office of the Vice Provost of Graduate Education at Stanford. 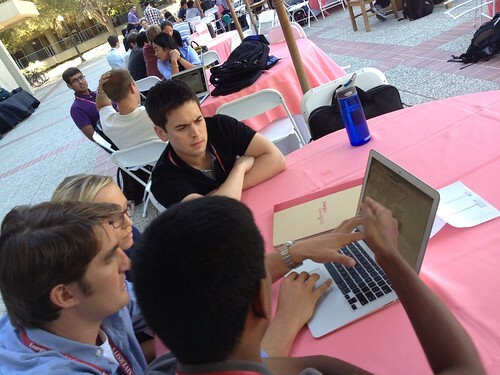 The students used En-ROADS as part of a policy exercise called “World Energy” led by Drew Jones and staff at Stanford. The students were divided into teams and competed to come up with a scenario that meets five goals that: stabilized climate at 2 degrees C, supported economic health, provided for equity, minimized environmental damages, and that was viable if human civilization was at its best. Groups of students then presented their scenarios they came up with using En-ROADS to a panel of judges that represented different interest groups from an environmental activist to U.S. presidential candidates to a climate change envoy from India. The judges included Karl Knapp, Mark Thurber, Professor Dan Reicher, Professor Sally Benson, and Professor Margot Gerritsen. Mik Dale, a Post Doc with Stanford’s Global Climate and Energy Project (GCEP), said “The team that eventually won, won because their supply curves looked most reasonable whilst still achieving decreases in emissions.” Check out the final presentations below. Mik added, “it was a real pleasure working with…the EnROADS model. I feel much more happy working with a model that I know all of its working parts rather than relying on a ‘black box’ with so many working parts that no one knows what’s really happening under the hood.” Climate Interactive was happy to lead students at Stanford through using En-ROADS and we are looking forward to more opportunities to showcase this tool.